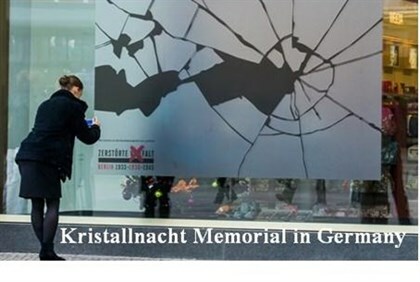 Today, 9th November 2015, marks the 77th Anniversary of Kristallnacht (Night of Broken Glass) in Germany and Nazi-occupied territories. 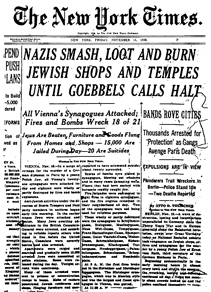 It was the night when people turned against their fellow Germans, just because they were Jewish. Joe Stirling’s family was affected, even in their small farming village of Nickenich. As a 14 year old boy he watched as his beloved father was forcibly dragged from their home without explanation or knowledge of where he was being taken. What happened to the boy and his mother is recorded in Escaping Hitler: A Jewish Boy’s Quest for Freedom and His Future (with foreword by Shirley Williams), my debut biography of this now 91 year old man living in Norwich, Norfolk, U.K. The book will be published in January 2016 by Pen and Sword Books with the official launch in Jarrolds Department Store in Norwich on 4th February. Please find my Facebook page for Escaping Hitler and add your ‘like’ to the 200 others to be kept updated on publication dates, signings and how to get hold of your copy signed by both the author and by Joe Stirling (born Günter Stern in Nickenich, Rhineland). Take a look at the Facebook page of the United States Holocaust Memorial Museum in Washington D.C. to see interviews and footage of survivors talking about that terrible night. We must be thankful it was not our families and never forget.